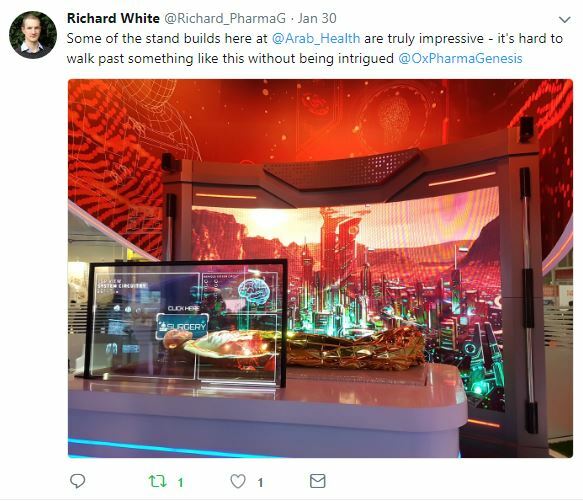 PharmaGenesis Cardiff introduced the concept of HealthScience communications for the first time in the Middle East region, presenting on behalf of the Oxford PharmaGenesis Group at the Arab Health Congress (29 January–1 February 2018, Dubai, UAE). Arab Health is the largest healthcare conference in the Middle East, attracting more than 4200 exhibitor companies and 103 000 delegates from more than 150 countries over the 4 days of the meeting. 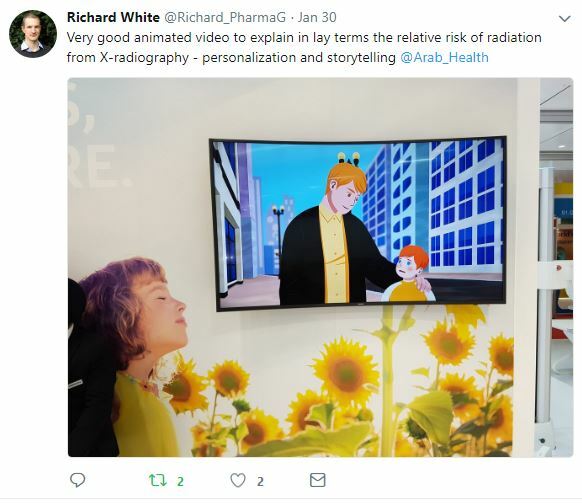 PharmaGenesis Cardiff joined the Wales exhibition stand at the conference, as part of the Welsh Government Trade Mission. 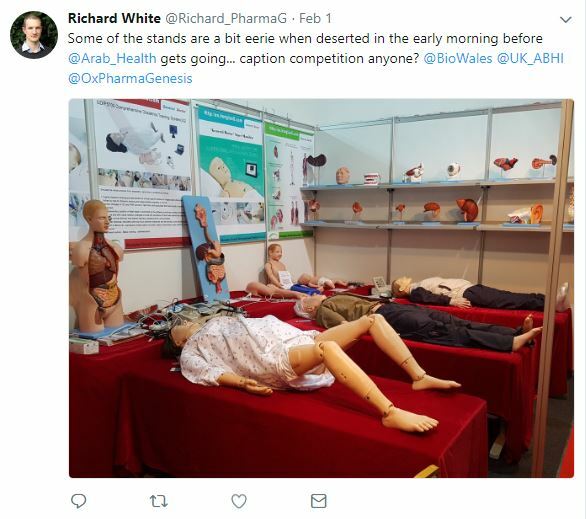 Oxford PharmaGenesis thanks the Welsh Government for their support in enabling us to exhibit at Arab Health and, in particular, Jo Chard (International Trade Missions Manager), Richard Harris (Head of Business Development) and Mel Crisp (Head of Sector) in the Life Sciences team for the tremendous on-site organization of the Wales exhibition stand. Oxford PharmaGenesis also thanks the Department for International Trade (DIT) and the Association of British Healthcare Industries (ABHI) for a series of highly informative presentations and discussions on healthcare in the Middle East region. Examples of Arab Health activities.